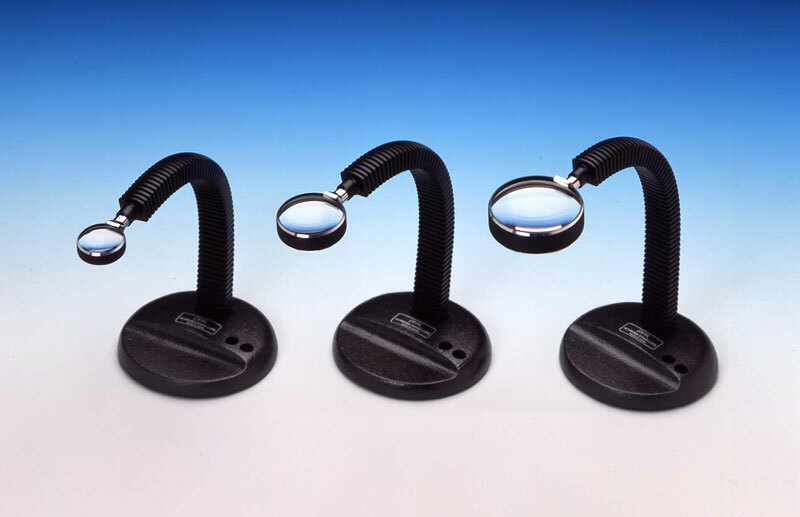 It is achromic lenses consisting of two kinds of optical glass pasted together that constitutes a characteristic feature of the Peak Achroma Stand Loupe. The images seen through this lens has no blur of color. The outline is clear and there is no vague viewing in entire visual field. By adopting a flexible tube and stable metal base, efficient observation can be made by the free use of both hands. The achromatic lenses prove to be very useful and ideal for the check and inspection of fine arts, photographs and industrial arts. You will find a red dot at the base of lens frame. Use the Loupe with the face having this dot upwards. The last two figures of this item number indicate the diameter of each lens. 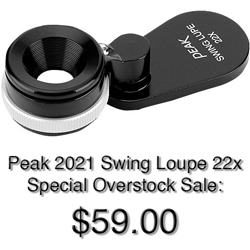 Peak 2057 Achroma Stand Loupe is currently on back order. There is no information as to when it will be available.